1) Through the upbeat jittery and cho cho riffs, “Mother Sonic” fuels its engine and begins its journey on the Lunar Locomotive. It’s a zany track, whose Curtis/Vega-esque vocals, ghost ride aside the Suicide’s synth-punk steam. With remnants of art-punk, “Mother Sonic” throws itself around, through the neo-psychedelic vortex, carrying a heavy load whilst derailing and firing its punk pistons along the way. 2) With the sitar strums and eastern flutes, “Angel” rises like a snake being tamed after shedding its skin. Along with the relay of muffed vocals, “Angel” transforms into a mind-altering state. It’s a hypnotic track, whose scratchy riffs send chills down the spine, whilst revealing a neo-psychedelic ambience. 3) With its industrial swipes and bloated beats, “Fading Star” drifts and self-destructs in the nebulous corners of the mind. Through its circuit of dark electronica, “Faded Star” flickers and shuffles, ball chain aside the shadowy vocals. Along with the Kraftwerk-esque synths and drones, “Fading Star” nosedives, drones and hovers .It’s through the jangly riffs, industrial clatter and ghostly ahhh’s that “Fading Star” simultaneously illuminates, ascends and surrenders to celestial heights. 4) “DJ Scratch yourself” is a quirky, idiosyncratic, cranky track whose space-synths and hard work riffs, kick-starts the offbeat rap and humorous narrative. 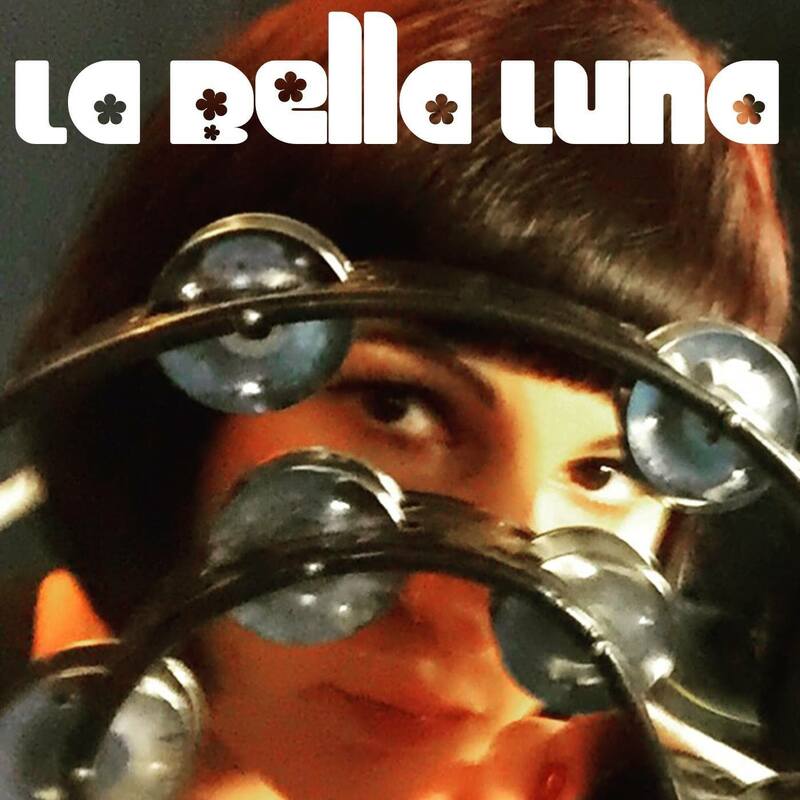 It’s a “put the needle on the record” B-side, which encapsulates the boundless and experimental sound of La Bella Luna. 5) With the acid-rock synths and breezy riffs, “Sea Song” drifts you off to a Doors-esque shore. It’s a sun-drenched track, whose baritone vocals submerge in the deep-end, reaching the abyssal plain. Along with the crashing percussions and angular riffs,”Sea songs” ebbs and flows whilst being engulfed by rippling synths. 6) “Death Doesn’t End Love” is an Eastern promise, a surreal flash of cinematic mania, whilst taking a trippy excursion to a Victorian funfair. Through the Farfisa fuzz and disjointed notes, “Death Doesn’t End Love”, oscillates like a macabre carousel, carried by the spectral spirits into an ethereal realm. 7) With the xylophonic twinkles, industrial beats, eerie ambience and trip-hop riffs, “Flayming” saunters in its own dream world aside the surreal vox. It’s an instrumental outtake from a Lynch movie travelling down a lost highway, whilst disco dancing in a cool, trance-like state. 8) With its bluesy and reviving riffs, “Bad Motor Scooter” is a smooth rocker, which glides effortlessly in the freeway of The Jesus and Mary Chain. It’s a sleek and rugged production, which flies the flag for the guitar-laden band, whilst staying true to its experimental and synth-punk roots. 9) With its new wave funk and dry-ice ambience, “Jim’s Big Hit” strolls nonchalantly into the recesses of 70s art-rock and 80s synth pop. Through the Blockheads-esque vocal style, “Jim’s Big Hit” delivers a deadpan narrative, whilst rotating under the disco lights and slamming against the plucky riffs. It’s a great track, a trip down memory lane, whilst creating a contemporary and original sound. 10) Through the horns, cracking and industrial beats, “Uvb-76”cruises on a ghostly voyage, amongst the rockabilly vampires and werewolves. It’s a great instrumental track, whose folk flutes navigate and hover above the fuzzy riffs and pulsating beats. Along with the garage riffs,”Uvb-76” shimmers in synchronous motion with the moon, causing the radio signal to distort and drone. 11) “F.U” is a fleeting wave of synth-pop, whose humorous lyrics are laid bare against the back-drop of industrial post-punk. 12) Through the tinny strums and stripped down acoustics, “Magic Carpet” emits a pensive motif, whose elongated synths hover and emit a dreamy ambience towards an Eastern horizon. 13) With its back tracking of psychedelia, baroque synths and thumping beats, “Why” pulsates aside Throbbing Gristle, in the world of industrial, experimental post-punk. It’s an intriguing track, whose deciphered vocals tremble and startle in equal measures. 14) Through its mesh of white noise and eerie synths, “Untitled” elevates across a moonlit shore. It’s a paradoxical track, whose haunting vox antagonises like night terrors while the vacillating synths remain cool, calm and collected. Album cover featuring Beth Arzy.